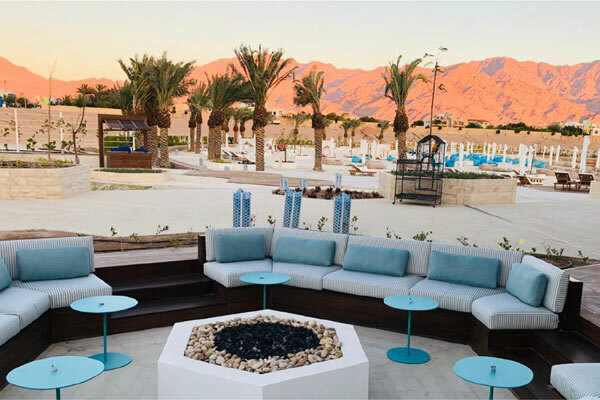 Hyatt Regency Aqaba Ayla Resort, the latest addition to Aqaba’s touristic scene, announced the full opening of the hotel at the beginning of March, with new additional facilities available to the hotel guests. Hyatt Regency Aqaba Ayla Resort guests can enjoy the hotel's one of a kind spa, Aqua Spa, and the exclusive beach club La Plage. “With the introduction of our state of the art Aqua Spa and our unique beach club La Plage, we are certain that we will elevate our guests' experiences, allowing them to create everlasting memories” he added. Those looking to unwind can treat themselves to an aqua spa experience with tranquil services including six treatment rooms, an authentic Turkish hammam, a yoga garden, and an outdoor pool. The property features an additional family pool, as well as an adults-only infinity pool with picturesque views. The onsite, 24-hour StayFit Gym provides guests with the chance to re-energise during their stay and is equipped with treadmills, ellipticals, stationary bicycles, weight machines, and free weights. With the opening of La Plage, guests can discover barefoot luxury with residential DJs, live entertainment and upbeat atmosphere in Aqaba’s most dynamic beach club.